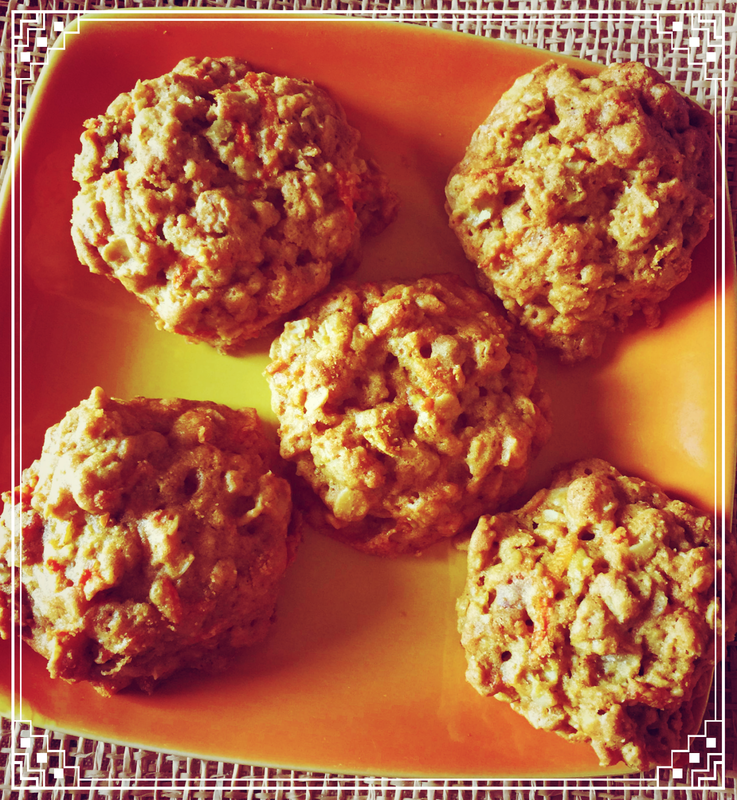 Carrot Whole Wheat Oatmeal Cookies and Pleasant Surprises ! I have to admit that I am very carroty person ..nope I am not a red head though my penchant for red dresses and lip color is well known . It is just that I love carrots and anything derived from them especially in sweet form. Yep, Gajrela or gajar ka halwa as it is called in some parts is my all time favorite dessert . 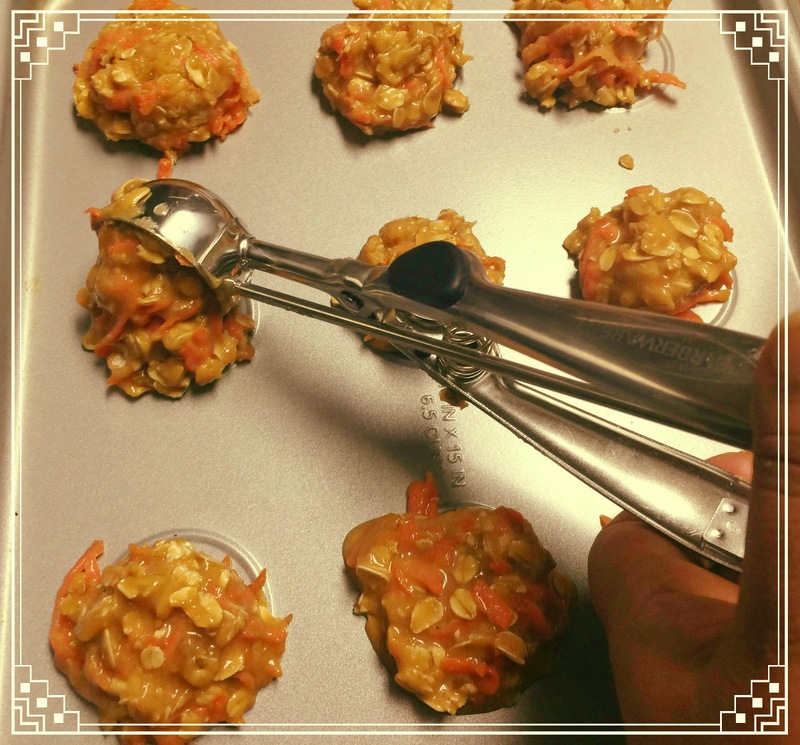 Come to think of it , it's kind of strange that I haven't incorporated this Vitamin A and dietary fibre rich food in my bakes yet.Well , now seemed as good time as any , so when I came across this carrot oatmeal cookie recipe from KitchenAid , I knew I had to give it a try. 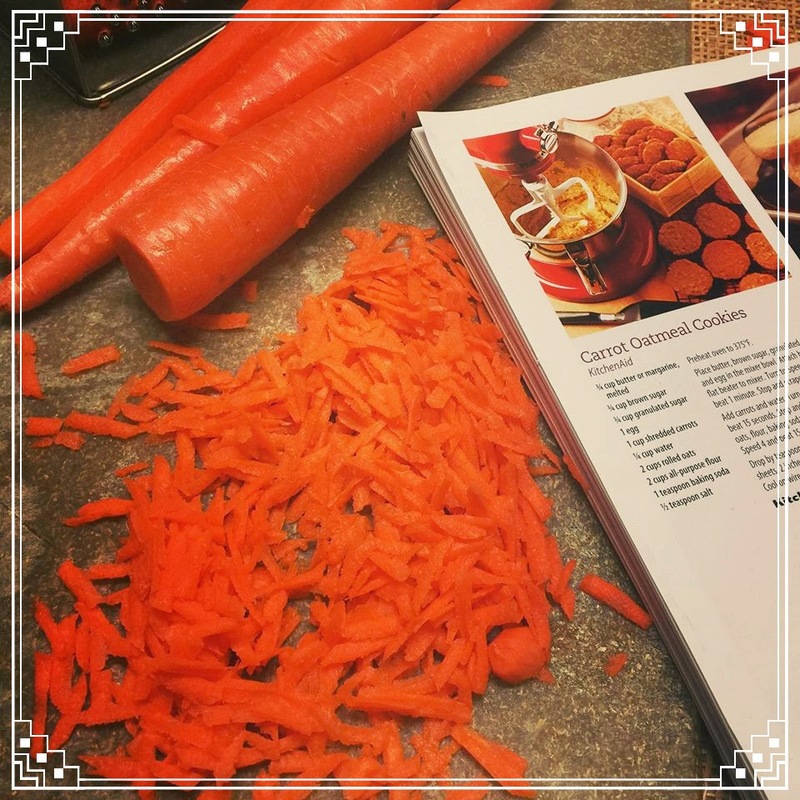 If you have been following my blog , you must be familiar how I try to put a healthy twist to my bakes, This recipe was no different ..it was simply begging for some healthy makeover. For starters, I knew the all purpose flour was a definite no no . So, replaced it merrily with 100% whole wheat flour.Also, took the liberty of replacing the butter with equivalent amount of olive oil. As regards the sugar, the original recipe called for 3/4 cup each of brown and granulated sugar which I promptly replaced with 1/2 cup of each. The end result was still quite sweet . If you desire even less sugar , by all means go ahead and reduce that quantity as well. As always , preheat the oven to 375 degrees F or 190 degrees C.
In a bowl , add the oil , both sugars and egg and give it a good mix with the help of a hand mixer. Now add the carrots and water. Mix them in as well and then add the dry ingredients - flour., oats , baking soda and salt. Fold it in with the help of a spatula. With the help of a cookie scooper , drop equal sized balls on a greased baking tray . Bake for 10 - 12 mnutes .Cool on a wire rack and enjoy !